Explore the best list of the top rare, most exotic fruits available to buy including meanings and pictures. These exotic fruits probably aren’t stacked into perfect pyramids in the produce section of your supermarket. Some of them are shoved together in modest handfuls in the “international” produce display. Others might only be found in specialty or ethnic markets. These are the minorities of fruits (at least in most non-tropical regions) and, due to their unique deliciousness and abundance of health benefits, deserve a spot in your kitchen as much as a bunch of bananas. Jackfruit is prevalent in tropical regions of Southeast Asia, India and Brazil. This large, spiky tree-borne fruit can grow up to 80 lbs…But as intimidating as its exterior may be, its interior is usually quite sweet. It tastes a bit like a pineapple, mango and banana combined. Because of its unique “meaty” texture and high levels of protein, jackfruit is becoming a popular meat substitute in vegetarian and vegan cuisine. Plus, it contains vitamin A, vitamin C, vitamin B6, antioxidants and fiber. You can find jackfruit year-round at many supermarkets in the canned fruit section. If you want it fresh, you might be able to find it at Asian supermarkets with large produce sections. You can also opt to buy it online here. Kiwis are a tropical fruit that most people are familiar with. However golden kiwis are less prevalent in Western society. 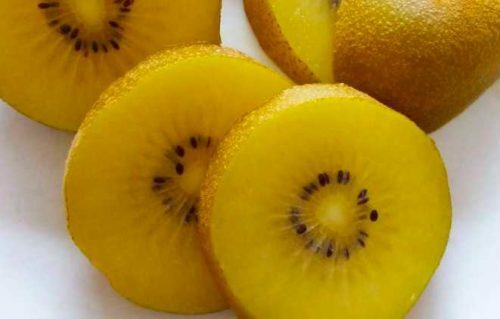 Although they may look similar to traditional kiwis, golden kiwis are typically softer, smoother, yellower, sweeter and devoid of that familiar kiwi tartness. Golden kiwis are great sources of vitamin C, vitamin E, potassium, fiber and folates. They can typically be found in the produce section of your local Asian supermarket, or online here. This fruit has already become fairly mainstream in smoothie and bowl form, nipping at the heels of açaí as the next big superfood due to its high levels of: antioxidants, vitamin C, polyunsaturated (good) fatty acids, B vitamins, carotene, protein and calcium. However, pitaya is not frequently seen in its raw form in Western countries. If you see this vibrant fruit in the “exotic fruits” section of your local supermarket, pick one up and revel in it’s unique beauty. 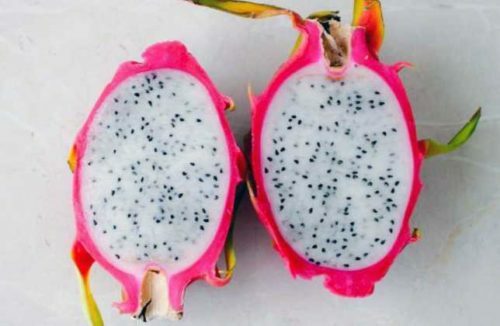 You’re also likely to find pitaya seasonally at specialty Mexican and Asian produce markets. In addition, various quantities can usually be found here. 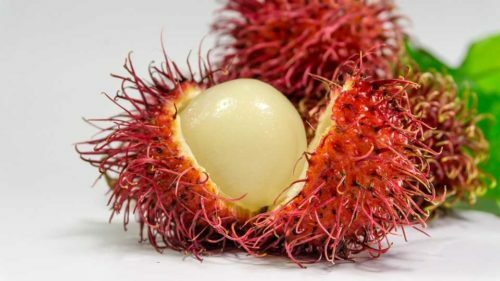 Rambutan is a golf ball-sized hirsute (hairy) fruit that is native to Southeast Asia, specifically the Malay countries. When opened up, the edible portion is a translucent white flesh—similar to its relative, the lychee. Its sweet & creamy yet subtly acidic flavor is a bit reminiscent of grapes. Like the other exotic fruits, rambutan is packed with health benefits. It is rich in antioxidants, fiber, iron, vitamin C, copper and phosphorus. You can usually find rambutan either canned or fresh at your local Asian market. They can also be found online here. 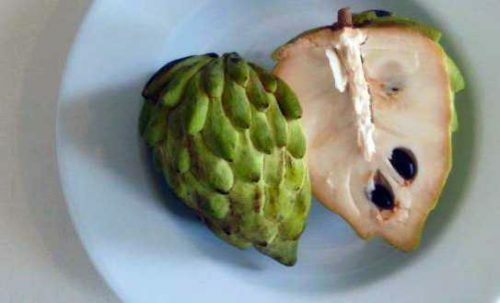 Sugar-apple is a fruit that originated in the tropical regions of North and South America as well as the West Indies. It’s roughly the size of a softball. Inside it’s thick protective rind are a few dozen slippery black seeds held in place by a sweet & creamy, custard-like flesh. It’s known to be an excellent source of vitamin C and manganese. It’s also a good source of thiamine and vitamin B6 while providing fair amounts of vitamin B2, B3 B5, B9, iron, magnesium, phosphorus and potassium. Sugar-apples can be found seasonally in local Latin and Asian markets. If you’re interested in growing them yourself, you can also buy seeds online. Sapodilla is a fruit that was first cultivated in Mexico, Central America and the Caribbean and is currently grown throughout India and Southeast Asia. It is approximately the size of a billiard ball and has a fairly firm outer shell. Inside, the fruit is undeniably sweet and tastes like a mix of brown sugar, caramel and root beer. Unlike most sweets, sapodilla is full of health benefits; it contains vitamin A, vitamin C, vitamin E, potassium, copper, iron, folate, niacin and pantothenic acid. This sweet fruit can be found in certain Mexican markets. On occasion, it’s also available either fresh or as seed packets here. Calamansi is a citrus fruit native to the warm tropical regions of Southeast Asia. They look like small round limes and have a slightly tart, yet sweet flavor making it a perfect citrus for drinks and brightening up dishes. This small citrus is a great source of vitamins A & C and has anti-inflammatory properties. 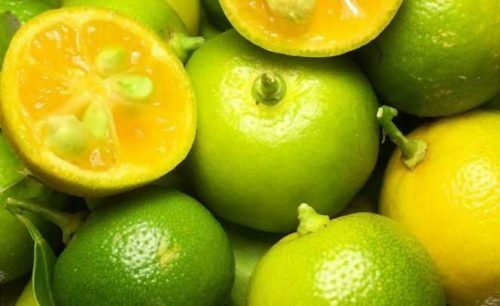 Calamansi is available fresh and as a juice at most Asian markets. It can also be found in various forms here. 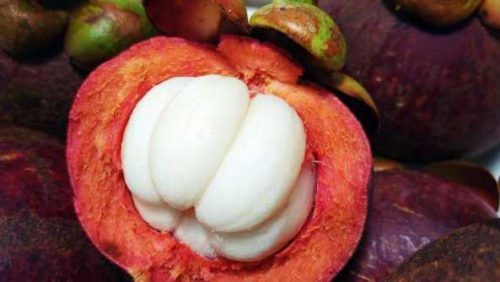 Mangosteen is a fruit native to Indonesia and is cultivated throughout Southeast Asia and other tropical areas. It’s popular for its sweet flavor that tastes somewhat like a mix of strawberries, peaches and cream. Not only does mangosteen have a palate-pleasing flavor, it also contains a ton of nutrients and vitamins including: vitamin A, vitamin C, B-complex vitamins, iron, calcium, potassium, and xanthones. You can find this superfood seasonally at your local Asian market or online here. As of 2017, the recommended number of servings of fruit a day has increased from 5 to 10. 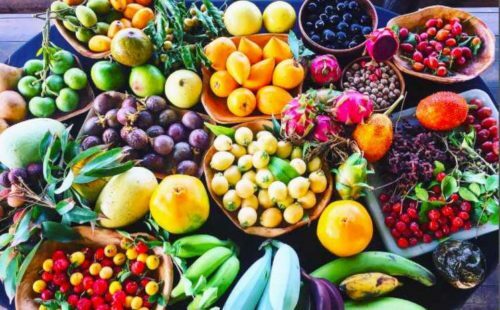 Incorporate these exotic fruits regularly into your diet to enjoy a wide variety of flavors and textures making it easier to meet the recommended intake of fruits. 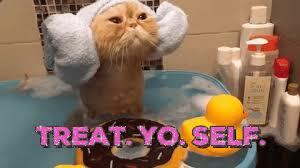 Enjoy eating your way to better health!